This is a recipe which I created coming back from this summer holiday based on two aspects. I needed to make food that helped me with my stomach troubles and that was inexpensive to make as we had some unexpected expenses during our summer holiday. I’m quite pleased with this dip or sauce if you may, as it turned our great if I may say so myself. Use this for a crudité platter, to toss salads in, pasta or even as a sauce for those summer burgers. De-frost the peas by letting them stand i hot water until de-frosted. 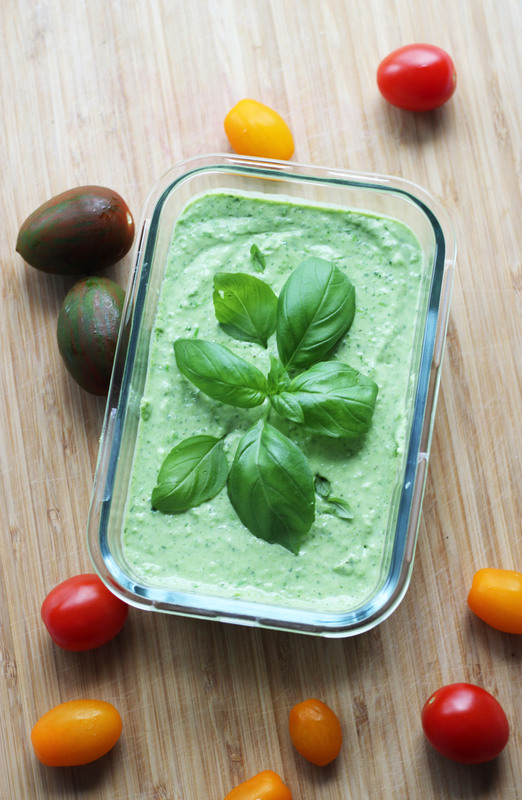 Add fresh basil, parsley green peas and garlic to a food processor. Process until the herbs and peas are finely chopped. Add lemon juice and the vegan creme fraiche, process until smooth. Taste with salt and freshly grated pepper.